President Rivlin to begin consultations with parties Monday morning - the first step in selecting a prime minister. 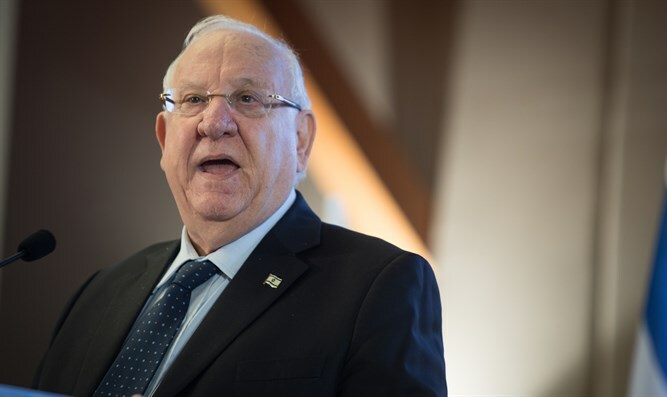 President Reuven Rivlin is set to begin consultations for selecting a prime minister for the 35th Government of Israel Monday morning, with meetings with representatives of the 11 parties which cleared the electoral threshold in last week’s election. The meetings will begin at 9:15 Monday morning at the Beit HaNasi, and will be held with the largest factions first, starting with the Likud, followed by representatives of the Blue and White party at 10:00 a.m., members of the Shas party at 10:45, representatives for United Torah Judaism at 11:30, and representatives of the Hadash-Ta’al joint ticket at 12:15. On Tuesday, the president will meet with representatives from the remaining six factions which won representation in the Knesset. All of the meetings will be televised live over the internet – a first for presidential post-election consultations. After elections to the Israeli Knesset, the president consults with leaders of all the factions which won representation in the 120-member Knesset. Each party is asked if they would be willing to back a candidate for the premiership. If one candidate secures the support of 61 MKs – an absolute majority – that candidate is tasked with forming the next government. The candidate nominated for the premiership then has 28 days to cobble together a majority government. If the candidate fails to sign coalition deals with enough parties to secure a majority, the president may allot an extra 14 days to complete the process. Prime Minister Binyamin Netanyahu is expected to be tapped for an additional term as premier, given that his Likud faction remains the largest party, with a projected 36 seats to 35 seats for the Blue and White party, and with the right-wing – religious bloc holding a ten-seat advantage over the left-wing – Arab bloc. While the final results of the election will not be released by the Central Elections Committee until Wednesday, the president’s office announced Sunday that Rivlin would begin consultations on Monday – with a possible second round of consultations should there be a significant change between the preliminary results and the final results.